In case you missed the Star Wars Jedi: Fallen Order livestream that we hosted for you yesterday, Electronic Arts unveiled the game’s release date, debut trailer, story details, and preorder bonuses. In development at Respawn Entertainment, the single-player action-adventure puts players in the shoes of young Padawan named Cal Kestis, played by Cameron Monaghan (Gotham, Shameless). The story is set after the events of Revenge of the Sith, when the Jedi are being hunted by the Empire. Jedi: Fallen Order introduces several new locations, including a new planet called Bracca, where players will meet Cal. No place is safe for the protagonist as he’s being pursued relentlessly but he manages to make some friends including a “mysterious” companion, Cere, while he’s accompanied by his “faithful” droid BD-1. 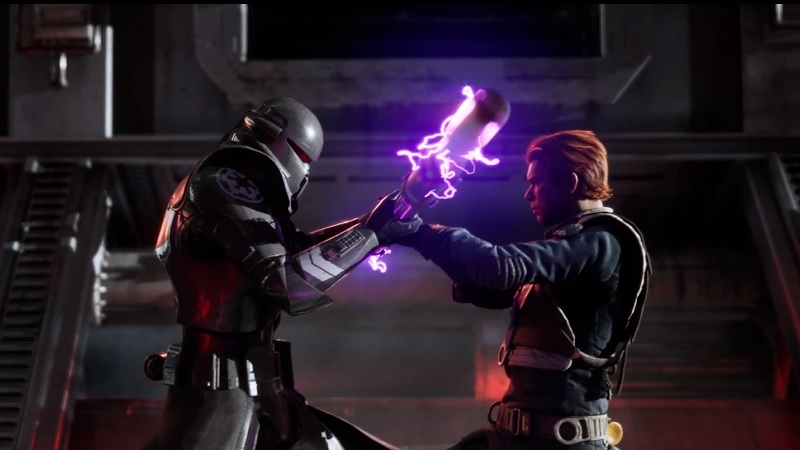 Jedi: Fallen Order‘s lightsaber combat system will have players striking, parrying, and dodging while using powerful Force abilities against their foes. According to Respawn, the combat system is easy to pick up but takes some practice to master. Star Wars Jedi: Fallen Order will release on November 15, 2019, for the PlayStation 4, Xbox One, and PC. You can preorder the $60 standard edition and $70 deluxe edition now. The Deluxe Edition includes behind-the-scenes content and cosmetic items. Preordering either of the two editions will net you cosmetics for your lightsaber and droid. Both EA and Respawn have confirmed that the game will remain free of microtransactions and loot boxes post launch.